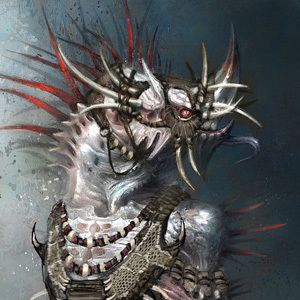 Sezix of the Cragfang Clan is the head of the Frostwail Prisinium. He is cold as the blood that runs through his fangs, and only one prisoner has escaped in the 40 yearssince he has been Warden. The warden is diplomatically associated with every nation including the Crimson Isles, but is considered neutral and he will not aid in any conflict within Merovia. It is a neutral state for holding prisoners only.